Welcome to Orono Dental Care, the dental office of Dr. Karl Berg, Dr. Michael Skramstad, Dr. Brianna Hammer, and Dr. Keira Nicholson. We are so glad you found us! At Orono Dental Care, we offer a stress-free, professional, friendly environment for your family's dental care. Our state-of-the-art dental technology and experienced dental team will ensure you are comfortable and well cared for during your visit. From routine family dentistry to advanced cosmetic dentistry and dental implants, all of your family's dental needs can be taken care of here in one convenient location. Our dentists provide the highest level of care and constantly renew their skills and training through continuing education courses, teaching at the university level, and advancing their knowledge of the latest technology. We realize the value of developing long-term relationships with our patients and are committed to caring for you in a personalized way that helps you meet your own goals for your health and smile. At Orono Dental Care, you can have confidence that the care you receive will always be the best that modern dentistry has to offer. Being shuffled around town from one specialist to another to receive the care you need can make you feel a little lost. At Orono Dental Care, we offer a wide variety of expanded services by our highly trained dentists. This provides our patients with exceptional continuity of care, reliable treatment from start to finish, and the comfort of familiarity. 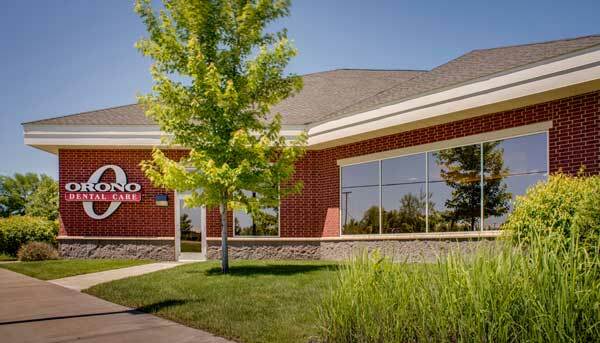 Convenience and quality meet in our Orono, MN dental office! We believe that teaching our patients about their oral conditions gives them the power to make the best decisions for their health. We use the latest diagnostic equipment in order to diagnose any potential dental conditions and share our findings with you. We always provide you with all of your treatment options and help you make a decision that works for your lifestyle. Each patient is unique and so is the care we provide. We will always help you meet your goals when it comes to the health and appearance of your smile. We spend plenty of time with each patient so you have time to ask questions and learn how each treatment option can benefit you. We proudly welcome patients of all ages from Long Lake, Orono, Maple Plain, Independence, Mound, Minnetrista, Wayzata, Plymouth, Minnetonka, Spring Park, Navarre, Excelsior, Delano, Medina, Corcoran, Hamel, Hanover, Loretto, Independence, Minnetonka Beach, and the surrounding communities. We accept a wide variety of insurance plans and offer convenient payment options for every budget. We strive to treat dental emergencies as quickly as possible – often on the same day. We are proud to offer our Save & Smile Plan for patients without dental insurance. Whether you regularly visit the dentist or you have missed a few appointments, we can help you achieve a healthy, beautiful smile. Contact us today! We look forward to seeing your smile! Praesent id varius dui. Cras vehicula dolor neque, quis posuere velit viverra eu. Etiam congue bibendum justo a volutpat.